Consider the Following 5 Basic Questions! 1 – Do YOU have 4 month recruiting action plan? 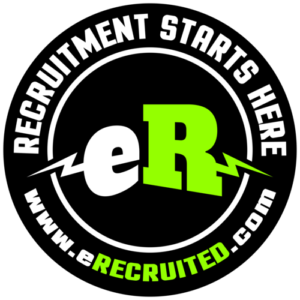 2 – Do YOU completely understand the next 4 months recruiting timeline? 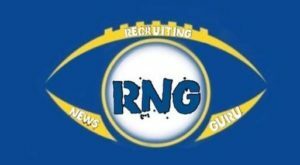 5 – Do YOU know which College Coaches are recruiting YOUR position for the 2019 recruiting class? 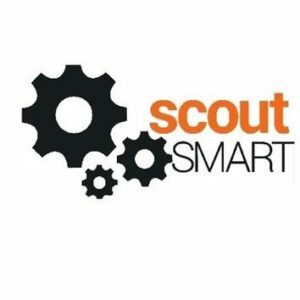 Next step – Our Partner eRecruited – the best and most affordable software that places you in charge and allows you to proactively connect with YOUR target level coaches! 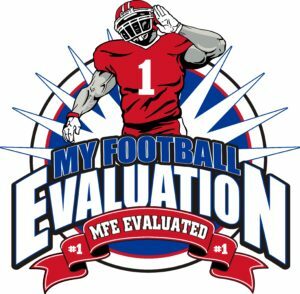 Recommended level of play: *Jimmy's MFE-Index Level of Play Rating (40 out of 50 pts) LOP Rating – 5.5 = Role player – FCS Backup Player – Late Developer /LOP Rating 5.1 = D2 Late Starter – Solid Contributor / LOP Rating – 5.0 = NAIA Impact Player – Early Starter / LOP Rating – 4.5 = D3 Impact Player – Early Starter. 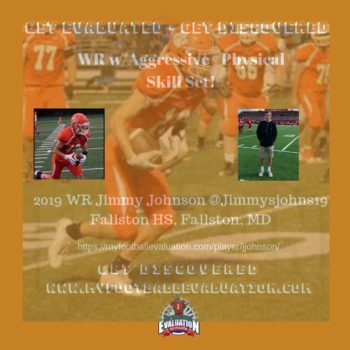 *Jimmy’s MFE-Index Level of Play Rating (40 out of 50 pts) LOP Rating – 5.5 = Role player – FCS Backup Player – Late Developer /LOP Rating 5.1 = D2 Late Starter – Solid Contributor / LOP Rating – 5.0 = NAIA Impact Player – Early Starter / LOP Rating – 4.5 = D3 Impact Player – Early Starter. Recommended level of play: *Colin's MFE-Index Level of Play Rating (37 out of 50) LOP Rating – 5.1 = D2 Late Starter – Solid Contributor / 5.0 = NAIA Impact Player – Early Starter / 4.5 = D3 Impact Player – Early Starter. *Colin’s MFE-Index Level of Play Rating (37 out of 50) LOP Rating – 5.1 = D2 Late Starter – Solid Contributor / 5.0 = NAIA Impact Player – Early Starter / 4.5 = D3 Impact Player – Early Starter. 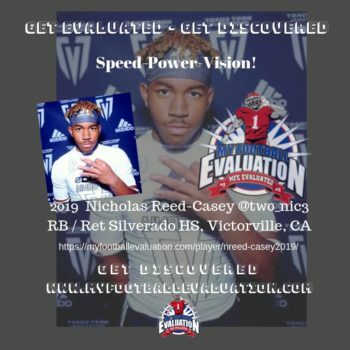 Recommended level of play: *Nicholas's MFE-Index Level of Play Rating (41 out of 50pts) LOP Rating – 6.0 = FCS Late Starter – Solid Contributor / 5.4 = D2 Impact Player – Early Starter - Physical Runner - Power - Vision - will punish a Defense. Very Good Player! 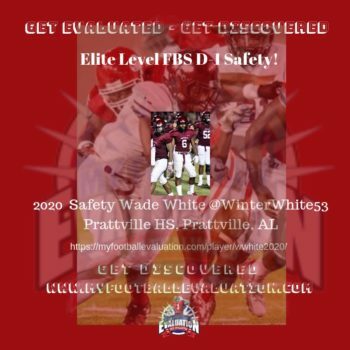 Recommended level of play: *Wade's MFE-Index Level of Play Rating (45 out of 50 pts) LOP Rating = FBS - *7.5 – 8.0 – Probable Starter at Primary Position - Wade is a FBS Safety - He demonstrates the ability to be highly effective dropping into the box as a run fit defender either in a force position, cutback position or inserting as a +1 on inside zone & power/counter. Elite level defender with a very high Football IQ adjusting to formations and directing the secondary in adjustments. Wade will further develop this off-season and put himself into a position to have multiple FBS offers including Power-5 conference programs.